Hoffmans Window Fashions | Hunter Douglas Blinds, Shades & Shutters. It is difficult to describe a color or a feel to someone who has never seen or experienced it. That is why our designers come to you. When they can see your colors and experience the feel of your home, they are better able to help with the selection of appropriate window treatments. Do your dining room windows glow with evening sun? 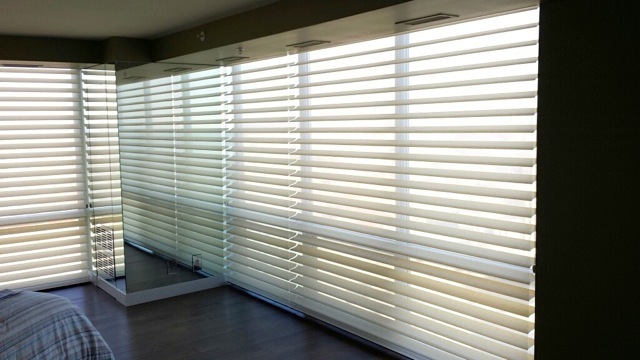 Do your bedroom window treatments need to filter and diffuse light or block it out entirely? Are hard or soft treatments (or a combination of both) best for your living room windows? When our designers can talk with you—in your home—they can learn your likes and dislikes, see your functional needs and assist in all your home decorating. 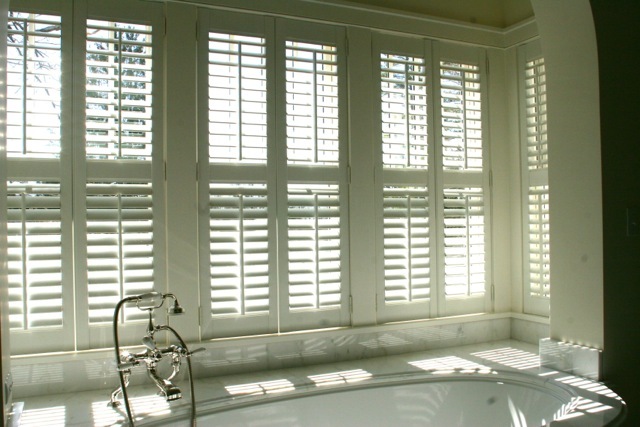 Hunter Douglas Newstyle Fauxwood shutters. Beautiful look with light and privacy control. Linen draperies on iron rods. Hunter Douglas Provenence roman shades for sun and privacy. Hunter Douglas Silhouettes in master bedroom. They open and close for privacy and light control. for an in-home visit from our design specialist. We had such a great experience with Hoffman's that we had to share. We contacted them for an estimate on new shades for our home. Dan came out and walked through each part of the house and made suggestions. He didn't try to over-sell and recommended shades within our budget. We appreciated the e...read more! I could not be more pleased with the window coverings that were installed from Hoffman's Window Fashions. I trust them, appreciate the professionalism and would rehire them at a moment's notice.read more! Dan was so fun to work with. He seemed to know exactly what we needed and is very creative. His suggestions was not only practical but definitely within our budget.read more! I have worked with Hoffman's Window Fashions for years. Their service is always impeccable and they stand behind everything they sell. 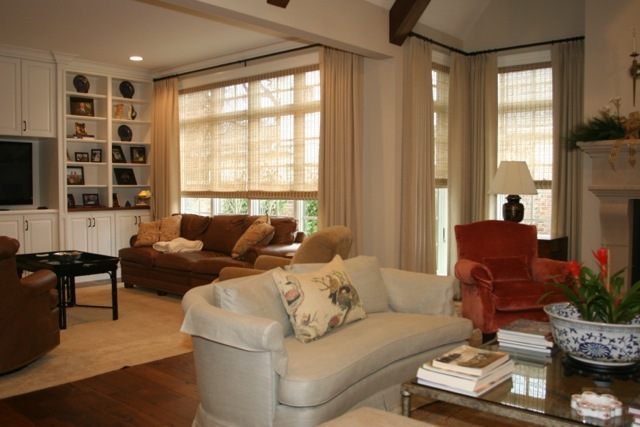 I would recommend them to anyone looking for blinds or draperies.read more!